Back in 2016, we talked about a unique specimen of a Crusade-era ‘hand grenade‘ that was discovered quite fortuitously by the late Marcel Mazliah, an Israeli electric company worker. 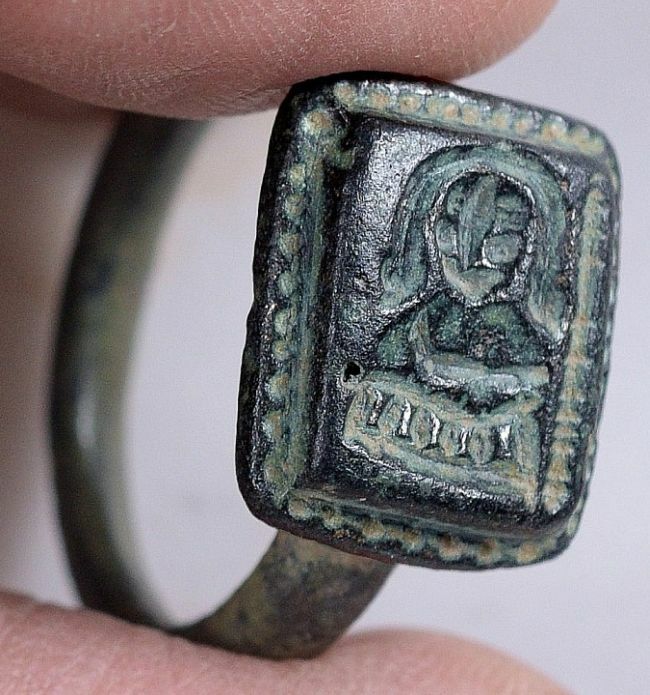 Well, this time around, it is the turn of another Israeli – 26-year-old Dekel Ben-Shitrit (who was born on Christmas Day), to unexpectedly come across a rare Bronze ring that bears the image of St. Nicholas, the historical inspiration behind Santa Claus. And once again, quite coincidentally, there just might be a Crusader connection to this artifact, since the object is believed to date from some time between 12th – 15th century AD, thus corresponding to the Crusade-era in the medieval Levant. Ben-Shitrit, who is a gardener by profession, found the ring by chance among the weeds in Moshav Hayogev, a farming community in the Jezreel Valley, northern Israel. The well-preserved object was then conscientiously submitted to the Israel Antiquities Authority, and consequently, it was analyzed by Dr. Yana Tchekhanovets, an expert on Byzantine-era archaeology. A preliminary assessment from the expert discerned the image of a bald man with his staff – which probably depicts St. Nicholas, the patron saint of not only children but also sailors, merchants, archers, and even thieves who had later repented. To that end, it was pretty common for medieval pilgrims from the Eastern Roman (Byzantine) Empire to carry the icons of St. Nicholas for warding off evil and misfortune on the road. Speaking of roads, the area where the bronze ring was located by Ben-Shitrit had a proximate old Roman road. This ancient road system in the region of Northern Israel was known to be frequented by the medieval pilgrims on-route to Galilee and Jerusalem, even after the last of the Christian Crusader States of Levant were snuffed out by the rising power of the Ayyubids (and later Mamluks). At the same time, the object bearing the image of St. Nicholas is dated from post 12th century AD, which suggests that its provenance probably coincided with the time when most of the Levant was already under Islamic control (as the Kingdom of Jerusalem was reduced to the lands in and around Acre). 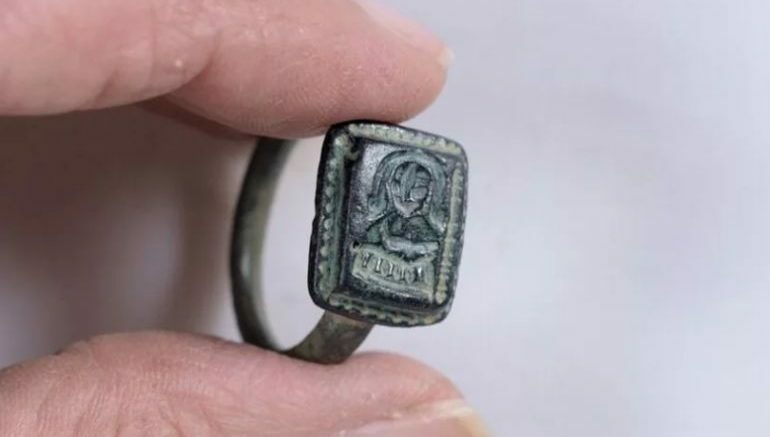 In essence, judging by the initial analysis of this 700-year old bronze ring, the hypothesis can be drawn that the object possibly belonged to a Christian pilgrim who lost it on the way to holy sites like Mount Tabor and Nazareth. However, at the same time, it should be noted that the present-day area of Moshav Hayogev is pretty close to Megiddo (also known by its Greek name Armageddon), an ancient site that was fiercely contested by the Crusader States and the neighboring Islamic realms, at least in the 11th century. Simply put, there is also a small chance that the ring was lost by an actual medieval fighter (crusader) – as noted by Barbara Drake Boehm, a curator at The Metropolitan Museum of Art, in New York. 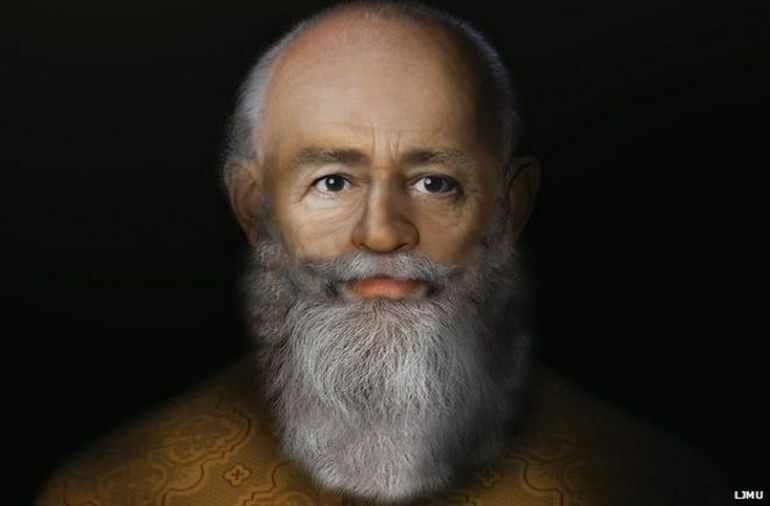 And lastly, since we are talking about the medieval depiction of St. Nicholas, interestingly enough, back in 2004, researchers had made a reconstruction effort, based on the study of the saint’s skull in details from a series of X-ray photographs and measurements that were originally compiled in 1950. And we can comprehend from the above image, St. Nicholas was possibly an olive-toned man past his prime years, but still maintaining an affable glow that is strikingly similar to the much later depicted Santa. His broken nose may have been the effect of the persecution of Christians under Diocletian’s rule during Nicholas’ early life. And interestingly enough, this facial scope is also pretty similar to the depictions of the saint in medieval Eastern Orthodox murals. A different team of researchers at John Moores University’s Face Lab made their version of the reconstruction (pictured below), aided by software simulation and 3D interactive technology. 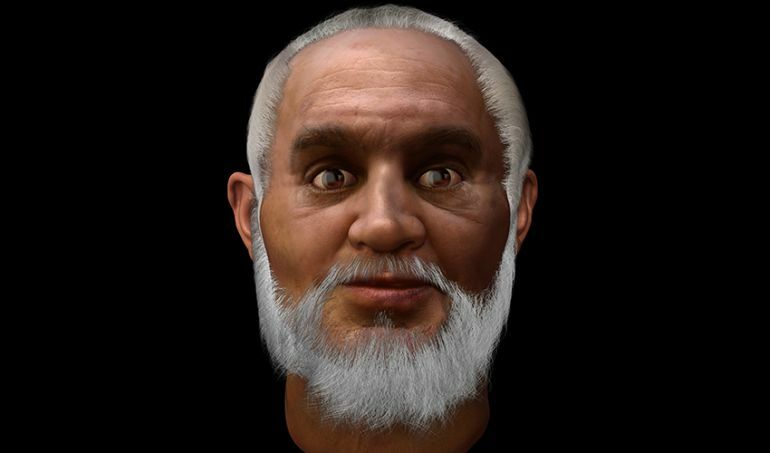 According to renowned facial anthropologist, Caroline Wilkinson, the project was based on “all the skeletal and historical material” – and the end result is surprisingly similar to the modern-day visage of Santa Claus, the holiday figure inspired by St. Nicholas.